Founder and Spiritual Director of the Agape International Spiritual Center. 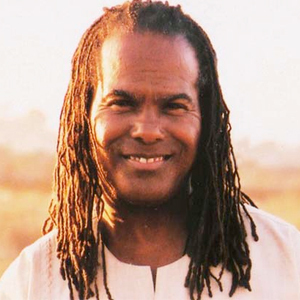 In 1986, Michael Bernard Beckwith founded the Agape International Spiritual Center, a trans-denominational community of thousands of local members and global live streamers. Highly regarded for its cultural, racial, and spiritual diversity, the late Coretta Scott King wrote to Beckwith, “I greatly admire what you are doing to bring about the Beloved Community, which is certainly what my dear husband worked for and ultimately gave his life.” Dr. Beckwith is a sought after meditation teacher, conference speaker, and seminar leader on the Life Visioning Process, which he originated. Three of his most recent books—Life Visioning, Spiritual Liberation, and TranscenDance Expanded are recipients of the prestigious Nautilus Award. He has appeared on Dr. Oz, The Oprah Winfrey Show, OWN Help Desk, Larry King Live, Tavis Smiley, and in his own PBS Special, The Answer Is You. Every Friday at 1 pm PST, thousands tune into his radio show on KPFK, Wake up: The Sound of Transformation. Michael Bernard Beckwith. Alexandra and I love him and his wisdom. He’s a model of integrated spirituality for us one of our absolute favorite teachers. In this Note, we’ll take quick at his powerful “Life Visioning Process” and have some fun getting our wisdom on with Big Ideas ranging from The Four Stages of Evolutionary Growth to unplugging from the Internet and plugging into the “Inner-net.” Good stuff! Michael Beckwith runs the Agape church in Los Angeles and is one of the most plugged in human beings I've ever seen. In this Note, we'll explore some of his many Big Ideas—including how important discipline is and the fact that as we rock it, our discipline turns to blissipline. We'll also see how to avoid spiritual constipation by PRACTICING what we study and how even enlightened beings burn their bagels on occasion (so we can prolly relax into our own imperfections).